This is the very special best gift for a Tuesday morning. Even if its purpose is to soundtrack the effects artists credits in a children's fantasy film with heavy religious overtones. Funny because I was on a Sade revisiting tip again the last few weeks. It's as if I knew (I didn't). Loving the way the instrumentation twists and rise to replace Sade's voice in the last minute. Looks like the lawyers are quickly taking all of the video posts down. Disney wants to get that soundtrack money. I heard it before it vanished. Her voice is still perfection. Aha, i did wonder how No ID got the gig and it turns out his version is a remix. *whisper* I prefer his mix *whisper*. Yeah that's the one. Love it. 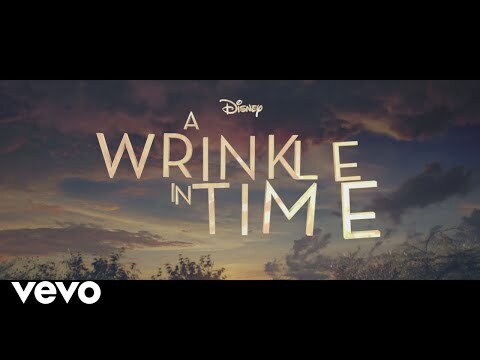 Sade would be contributing to Disney’s soundtrack for A Wrinkle In Time, which would be dropping March 9th, and alas here it is! Late Monday night, producer No I.D. decided to hop on Twitter and share the highly anticipated Sade record called “Flower of the Universe. FFS did a bot write that?